On the heels of the New England Patriots reportedly acquiring Michael Bennett from the Philadelphia Eagles, ESPN's Adam Schefter reports that Bennett's younger brother, Martellus, is interested in coming out of retirement to play with his brother in New England. The younger Bennett, who played 10 seasons in the NFL as a tight end, previously played with the Patriots on two separate occasions (2016, '17). He spent all of the 2016 season with the Pats, but played in just two games with them during the 2017 campaign after they claimed him off waivers late into that season from the Green Bay Packers. Bennett announced he was retiring shortly after that on March 23, 2018. 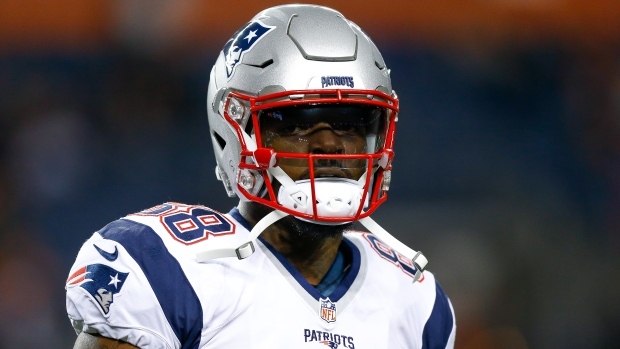 Martellus, who has also played for the Dallas Cowboys, New York Giants and Chicago Bears in his career, has amassed 4,573 receiving yards and 30 touchdowns on 433 receptions.